Pokemon Go is still going strong, months after its initial debut. Right now it's all about water Pokemon as the Water Festival is going on all the way from today through March 29. What does that mean for Pokemon trainers across the world? You'll be seeing a whole lot more of water Pokemon roaming the world, such as Magikarp, Squirtle, Totodile, and all the other water-loving Pokemon friends. You might even see a Lapras somewhere if you have the luck of the water Pokemon with you! There's also a super cute Magikarp hat available now for your trainer to wear while out and about in the world. If you're the kind of player who really digs cosmetic upgrades (and I totally am) you should get your hands on the Magikarp hat at the very least. It's absolutely adorable. 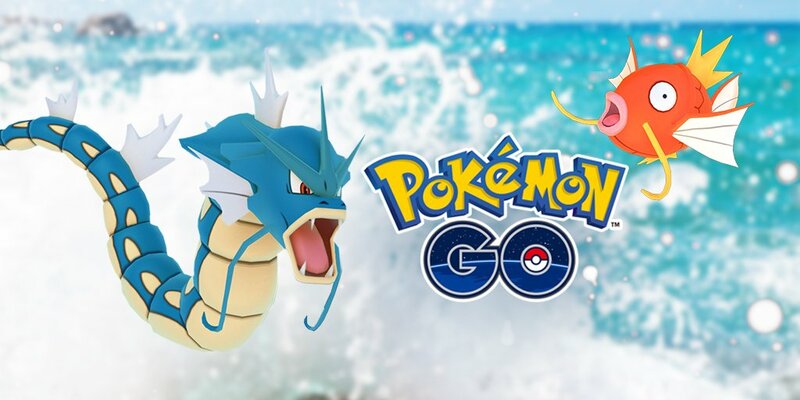 Time to stock up on all your water Pokemon needs, and add a new Gyarados to your inventory eventually as well! You've got the means to grab more Pokemon, so get out there and do it! That's what being a Pokemon Master means, after all.